Lock in a great price for Scandic Ørnen - rated 8.5 by recent guests. The complimentary breakfast was of a elite standard. My partner and I were so happy with the spread that was put on by the hotel. The rooms were brilliant, cleanliness of the room and the staff downstairs were extremely friendly. Would recommend anyone to stay at this place. Very good breakfast and nice room! Location is good that next to train station! Spacious clean comfortable room. Fantastic buffet breakfast. Central. Just beside bus station which we used for airport transfers. Saved considerably on cost of taxis. 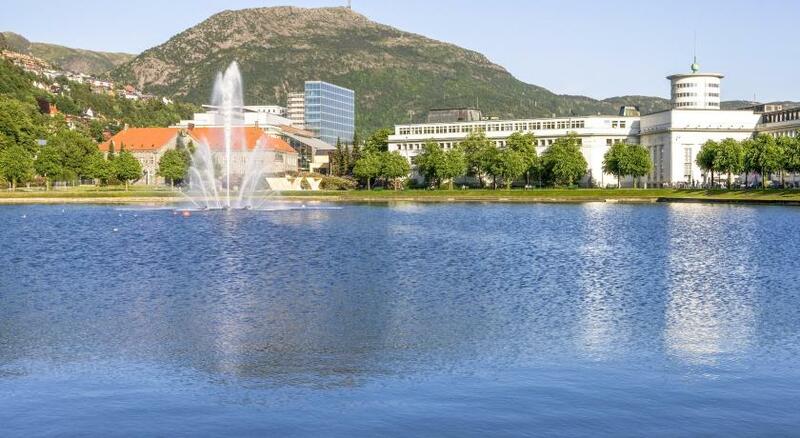 Offering a sky bar overlooking the mountains and Bergen, this Scandic hotel is located next to Bergen Train Station. Modern rooms with a flat-screen TV, bathroom with shower and free WiFi access are offered here. Torgallmenningen Square is 5 minutes’ walk away. Each room ar Scandic Ørnen also includes a hairdryer and free toiletries for your convenience. The breakfast buffet at the hotel's Aquila Restaurant features over 100 different items with an emphasis on organic products. At the top-floor Roast Restaurant and Bar, North Sea seafood and a selection of grilled meats can be enjoyed. Bicycles can be borrowed for free on site. Guests can work out at Scandic Ørnen’s fitness centre and book time with a personal trainer. The UNESCO-listed Bryggen Wharf is a 13-minute walk from the hotel. The Fløibanen Funicular is 0.6 miles away. Scandic Ørnen has been welcoming Booking.com guests since 10 Oct 2013. When would you like to stay at Scandic Ørnen? This room features a flat-screen TV, refrigerator, and tea/coffee facilities. Most rooms offer views over Bergen city centre. This double room comes with a coffee maker and fridge. The bathroom is equipped with a shower, hairdryer and free toiletries. Some rooms feature a balcony. Scandic Ørnen has an attractive location near the bus station in the city center. 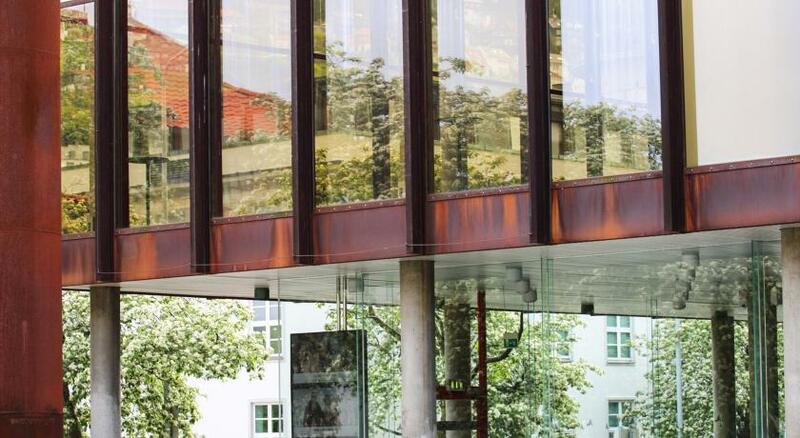 The hotel is the largest conference hotel in Bergen, lying in the city's cultural axis within easy reach of the Greighall, KODE - Bergen Art Museum and Bergens new swimming hall. Scandic Ørnen has Bergen's only sky bar on the 13th floor with a breathtaking view of the city and the surrounding mountains. On 1st floor, we have recently opened Taste Bar & Lounge which is open daily. In the 9th floor you will find our new and modern fitness room with varied facilities, and at FitFactory on the 1st floor can you book an appointment with a personal trainer. Hotel surroundings – This neighbourhood is a great choice for travellers interested in scenery, fish markets and seafood – Check location Great location - show map Guests loved walking around the neighbourhood! House rules Scandic Ørnen takes special requests - add in the next step! Scandic Ørnen accepts these cards and reserves the right to temporarily hold an amount prior to arrival. How to get to Scandic Ørnen from "Bergen Airport, Flesland"
I ask for extra bed. But the hotel said there is no extra bed. Our room was not ready even though we arrived after the 3 pm check-in time. We had gotten drenched in the Bergen freezing rain, so had really wanted access to our room right away. Reception staff kindly provided vouchers for food/drink credits in the lounge bar/cafe. Though we didn't get to use the vouchers (our fault, as we misplaced them in the rush of our stay), we appreciated the gesture. Also: the view from our room was of a giant parking lot, so ask for a nicer view if you like! Fantastic location less than 5 minutes walk from the train station. Also very close to the city park and KODE museums, with the pretty harbor area just a bit farther (about 15 minutes by foot). Excellent breakfast buffet with good quality and lots of variety. Room was adequate for family of 4 with children, with 2 bunk beds folding down from the wall. Note the room was very tight with the bunk beds down. Facilities are great, breakfast was very good. We would have given an excellent score but, having stayed here a few times since the hotel opened, we felt that the standard of service was not the same. Not enough towels in our room, breakfast - which has always been a highlight of our stay - was very disappointing. By the time we'd walked back to our table everything was cold, literally. We felt the cost of staying wasn't justified this time, and are looking at other hotels for our next trip. Heat in room too high..
Room was a bit small, but acceptable.